Sashimani Devi, the last surviving Devadasi of Lord Jagannath breathed her last at her residence in Odisha’s holy town of Puri this afternoon at the ripe old age of 92. Sashimani, who was bedridden for the last eight years, passed away at her residence at Dolamandap Sahi in the pilgrim town. With her death, the traditional Devadasi service to the Lords has come to an end. Sashimani was the Mahari sevika (servitor) of the Lord. Considered the human consort of Lord Jagannath, she was ceremonially married to the deity and became a Devadasi while she was only seven. As a Devadasi, Sashimani’s duties included dancing before the Lord and singing the Geeta Govinda. Rupashri Mohapatra, Sashimani’s foster daughter said she was brought up by Kumudini, and had started serving the Lord at the age of 12. During her 67 years of service, she had performed Mahari dance before the Lords during Chandan Yatra, Nandostav and other festive occasions. She was also performing Mahari dance before the Lord during Sakala Dhupa and Sandhya Dhupa inside the sanctum sanctorum of the temple. She would be cremated at Swargadwar late in the evening where her foster son Somanath Panda would light the funeral pyre which would be brought from the kitchen of the Shri Jagannath temple. Educationist and social activist Achyuta Samanta has expressed his deepest condolences at the passing away of Sasimani Devi. In a condolence message, Samanta said the death of Sasimani Devi, a great devotee and sevika of Lord jagannath, marked the end of a great tradition of Jagannath cult. “Due to Lord Jagannath’s blessings and indirect instructions, I have got the opportunity to serve a little bit to Sashimani Devi for last six years. I feel blessed that in the last stage of her life, Sashimani Devi acknowledged my humble services to her through media,” Samanta said. 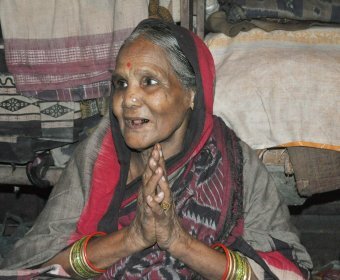 Give Responses for "Odisha’s last Devadasi Sashimani passes away at 92"